Disease is Such an icky word in my opinion. I never thought, nor had I imagined I’d associate myself with a chronic illness or better yet, a disease in my early thirties! Especially, a disease that most of the medical community can’t help with and most of the public have no knowledge or understanding of. It hasn’t been a cake walk. My health decline started with botulism from botox injections at the age of 32 and two years later with the diagnosis of Lyme disease as well as many of Lyme co-infections; Babesiosis, anaplasmosis, Bartonella, Mycoplasma, and H pylori. As pleasant as all those sound, these infections brought on a whole new set of infections/issues while undergoing treatment to kill them off; small intestinal bacterial overgrowth (SIBO), Candida, heavy metal toxicity, thyroid issues and lots of parasites invaded my body. I most likely had other infections as well but testing can be expensive and limiting unfortunately. It took me many doctors, lots of money and incorrect medical diagnosis to get my answers. My journey has taught me, first hand, how narrow minded some medical doctors really are. What they don’t know or understand they brush off or tell you its all in your head. Further more, if insurance wont cover it or allow it, then theres no point in testing for it. So, how did I gain my diagnosis? Through Functional and naturopathic doctors, as well as educating myself, which I find to be the most important piece in healing from any disease. Being my own advocate is something I was forced to do when things started to go down hill with doctors, I naively trusted in the beginning. This I am grateful for! Its taken me years to get to where I am in recovery and although I’m still not out of the woods yet, I’m so happy with where I am and truly feel blessed to have had the support around me and finances to visit the doctors I did to properly diagnosis and treat me. There are many who are still sick and don’t have the funds to visit alternative doctors and get un-insured treatment. what most people don’t realize, is that most of us have lyme bacteria in our systems. Much like cancer cells and other pathogens, we have these things in our bodies/gut that our immune system keeps at bay and in control. Lyme is much like cancer or a parasite. It grows when the environment allows it! If your immune system gets thrown off for any reason; stress, over working out, toxic exposure, lack of sleep, chronic infections…these things can become problematic and start to grow. How did I get Lyme? Well, what most people also don’t realize is that Lyme can be sexually transmitted, congenital, and passed by other blood transferring bugs like spiders and mosquitos. I may have been born with it, it may have been passed on by my husband, mosquito or tick bite? I will say, I’ve never seen a tick on myself but that doesn’t mean it never happened. Many people have lyme at the root of their health issues and really have no idea. Symptoms can range in mild symptoms of heightened allergies and headaches to paralysis! Many auto-immune diseases also have lyme at the root cause. If you look at the how and why of auto-immunity, infections, whether viral or bacterial, and leaky gut are usually the root cause. This has been quite the journey! I’ve tried many things! At first, being scared of my new diagnosis, and being so excited to finally have answers to my health issues I saw an easy out with antibiotics. So I tried that. Boy did that backfire though! I had already been on numerous antibiotics the following two years with multiple sinus and respiratory infections so once I got the big dogs in me for lyme treatment I just got sicker. Antibiotics not only wipe out the bad bacteria, they also wipe out the good! What I didn’t know was that once the good are gone it can take years to replenish them and even then they don’t return the same. Your gut microbiome is the power house of your immunity. You need to keep it healthy for proper health! So, antibiotics didn’t work and possibly tore my stomach up more because ever since then I have had a hard time stomaching any kind of pill, herb or supplement. I did try with the assistance of proton pump inhibitors and acid suppressing drugs but those backfired on me as well. So, I found myself in Arizona at a naturopathic wellness center for a month getting daily IV’s of blood ozone, High doses of vitamins and minerals and heavy metal detoxing. It was a brutal month being away from my three babies and husband, but I was desperate to feel better and get off the couch! The detox I experienced was pretty aggressive and in a way I was happy to not have my kids around watching me be so ill but it was this month that turned a huge corner for me. I came home and still heavily detoxed for a couple months with nightly fevers and nausea but one day (about two months after I returned home) it subsided and I became among the living again! I was no longer bedridden and was able to go about my everyday mommy duties. Still not really 100% though! This is when I was diagnosed with SIBO, hypothyroid, parasites, and candida. If you don’t have your “gut” health then you have no health in my opinion. I was feeling bloated daily, gained a good ten pounds for no reason (still struggling with that…ugh) dry skin and hair, hair loss, and crazy gas. These are the result of ongoing stomach infections and hypothyroid. When parasites and candida become problematic your adrenols and thyroid get stressed out. Once that happens your bile production slows down and it becomes a bad cycle that can take time to work your way out of. Need I say more? Yuck! But, If you don’t take these down you will never achieve health or fix your leaky gut. These are usually the trio present in all autoimmunity patients. Doctors don’t talk about these because they don’t know much about them, don’t have a drug for them or insurance wont test for it. These are the 3 biggest reasons most Autoimmune and lyme patients remain sick! Please don’t believe doctors when they tell you there is no cure for lyme, MS, Lupus or Thyroid disease! What they are really just saying is they have no drug to cure it. I’ve seen hundreds reverse and have complete resolve of all their auto-immune symptoms with addressing the root cause of why their bodies are attacking itself. These three are the most common. What have I done to treat these three? Lots! But, the biggest and best so far was the elemental diet for sibo and lots of herbs and the Jilly juice(Jillian Epperly) salt/ferment drink for the candida and parasites. The elemental, Physicians formula diet was pretty extreme. No food for 21 days while drinking this disgusting drink all day long. It was tough but manageable and I believe it really diminished a huge load of the SIBO. I did find myself with a bigger burden of candida while on that diet though. I tried taking herbs and anti fungals while on the diet but they really hurt my gastritis in my stomach at the time. I decided to deal with it once I was done with the 21 days. What is this Jilly Juice you speak of??? Let me give you a brief explanation. Just by chance I stumbled upon this Womans facebook page that had over 60,000 followers all drinking this home made cabbage ferment and healing crazy chronic illness. It for sure intrigued me! I read and stalked the site for months thinking it was too good to be true. How can drinking salt every day be healthy? I researched this till I was blue in the face. I did find some scary info online regarding the dangers of too much sodium intake but I found more supporting information on how it can be extremely healing and beneficial in safe amounts. This is a natural form of sea salt not processed table salt. There is a huge difference! Im now currently 3.5 months into drinking the Jilly Juice. This is not for the faint of heart or ones with a squeemish stomach. This drink is salt, water, cabbage and kale blended and left to ferment on the counter for 3 days. When you open it after the 3 days it smells like pure sewage and has mold growing on the top….it sometimes bubbles and tastes almost as bad as it smells. BUT, this drink has done more for me in three months at $1.50 than any of my thousand dollar treatments and expensive supplements. I grin and bare it every morning because I physically feel different if I don’t drink it now. My brain fog is gone, my energy is returned, Im seeing boat loads of parasites exiting my body almost daily, my mood is leveling off, my digestion is improving and my sleep is normalizing, no more daily fevers and migraines. Im not sure if its the drink itself or all the work Ive done combined with it this past two years? But, I’ll take it! How this drink works is pretty basic and simple and something thats been around since the days of Jesus! Salt is a known natural killer when it comes to lyme and infection. The high vitamin content in the fermented cabbage and kale and live probiotics help support and repopulate the immune system and gut microbiome. This drink completely clears my colon everyday. Very comparable to the all famous coffee enema but if your anything like me, not a fan of. Pathogens feed off of the waste in the colon and intestines….why not let them starve?! The salt and vit C protocol which you may have read about already if your a google junkie like me is very similar. This has been the most challenging aspect for me personally dealing with disease. Unfortunately relationships change when your not around or constantly canceling on events. This is just a realty. For me, I chose early on to kind of hide my health struggles. Lyme is very tricky. You can show up and look perfectly fine but feel like your dying at the same time. People that haven’t gone through it don’t understand the neurological aspect of it. Thats ok! They don’t have to in my opinion. But it definitely puts a strain in relationships. My journey became very much a personal relationship between me and God! This was another huge struggle for me and one Im still trying to navigate. Im a God girl, and dealing with daily health struggles and praying endlessly for relief and not getting it put a major dent in my faith journey. I was angry! Really really angry with God. He heals others, why not me? I was very aware of the fact that he doesn’t make people sick and where called to lean on him in these times and to put your trust and faith in him….I was struggling with trusting anyone but myself. I had two instances during the past 4 years where I was in the ER saying my final prayers to myself. In those situations my spine felt like it was being sawed in half and nails being hammered into it….a very bizarre feeling that I never even fathomed possible. At those moments I was also having breathing and swallowing challenges. With Lyme comes tremendous pain and suffering and Both times while crying to these ER doctors, they just looked at me and my labs telling me nothing alarming was showing on my test results. Its very scary to feel like you might be dying and doctors are telling your nothings wrong! I always test fine and nothing ever really shows up on any “normal medical doctor” tests. The funny thing about lyme is that, although I felt I was dying at those moments the next day always brings something new! no two days are really ever the same and its hard to find rhyme or reason for it. My journey with God feels like it may just be at the beginning again. I’ve got new eyes now, for him and my journey here and where he’s shifted my heart. A really special friend told me a couple months ago that she prefers the trials verse having none. Its during these times we seek him out and learn more deeply about him! God has a really special way of talking to us whether its through people or prayer or words on a page. He’s never not trying to help. I share this only to help the ones reading this who maybe are struggling with the same thing. Where am I at now with my journey? Still drinking my Jilly Juice every morning, eating a very stripped down diet of mostly egg yolks, chicken, fruits and vegetables. No grains, processed sugar, gluten, animal dairy, caffeine, soy and very little corn. I will be retesting soon to see where my gut infections are at and hormone levels and hopefully gaining a fully healed gut! Im back in school to become a functional diagnostic nutritional practitioner. This is so important to me. In Illinois alone, there are only two lyme literate doctors and its not a cake walk getting in to see them. At least 6 month waiting lists and they charge hundreds to thousands just to sit down and talk with them. So, presently I’m having so much fun with my studies and hopefully will have them completed within the next 8 months. I also have my holistic health coaching certification and utilize that as much as I can. I’ve had hundreds of individuals from all over the world reach out to me through my blog, facebook and by text for help with their journeys through botox injury, lyme and autoimmunity. Its a huge honor! One that I don’t take lightly. Im so excited to be able to fully help others in need when Im done with school. From administering proper testing to then gaining a full picture of all body systems to treatment and maintenance and beyond. I’m a fully functioning Mom now and have my family on a pretty paleo ( hubby calls it paleo light;)) diet and lifestyle. We’ve stripped the home of most toxins and are always educating ourselves on how to live in a more holistic environment. I work out pretty regularly now and can enjoy wine on occasion (YES!). I still have limits that I have to follow like not working out too much, or getting the proper amount of sleep, and of course my diet but when I do these things I feel pretty great! Life is crazy, right?! 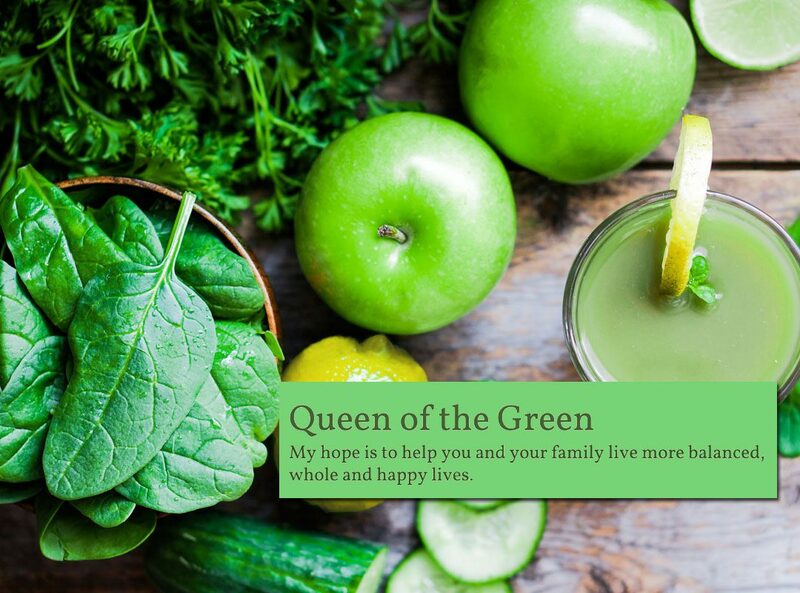 I never would have thought my journey would lead me here writing this blog about lyme and disease and matters of the heart for the world to read! Never! But, I couldn’t be more grateful:). Please reach out! Share your story with me! Whether its with lyme, cancer, autoimmunity, your faith journey….I’d be honored to hear from you and we can cry, laugh, educate each other, and/or pray! Its no fun doing this alone. Hi! Our journeys seem very similar, and I would love an update on yours! Are used the juice for a good eight months plus, and then when I slacked, I think climate is literally eating my brain… Please please please email me or find me on Facebook! I would really really like to talk to you… Thanks! Sorry for all the typos, I’m talking to text and I should have looked to be sure before posting! Hi! I’m sorry your going through this! It’s so maddening. I’ll look for you on fb and messenger you:) Thanks for reaching out!! !